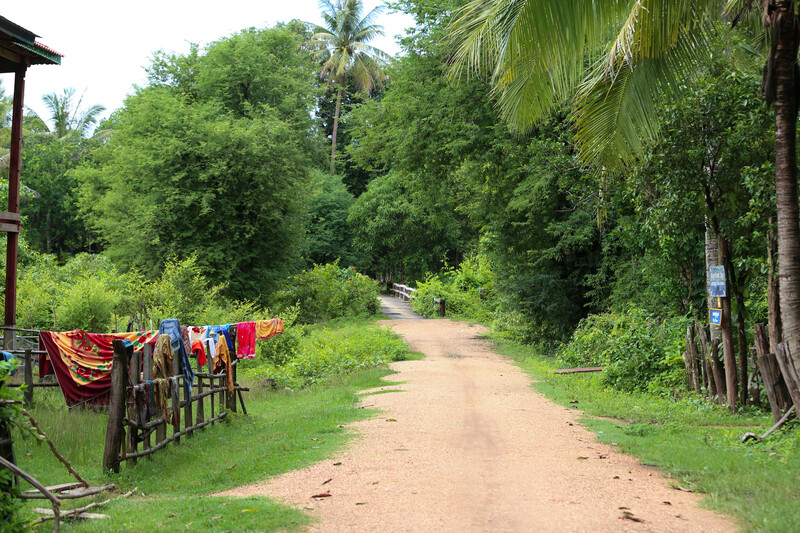 “You just missed the tourists!” exclaimed the petite Khmer home stay owner, Sam Savry, as she welcomed our group with a smile on her face that did not fade throughout the morning. As we ascended the wooden staircase to her home, leaving a pile of shoes in our wake, Sam Savry pulled several chairs around the table for us and began to tell the story of how she came to run her own business. Mrs. Savry belongs to a group of nine home stay owners on the island of Koh Pdao, located in Kratie Province, along Cambodia’s Mekong River. 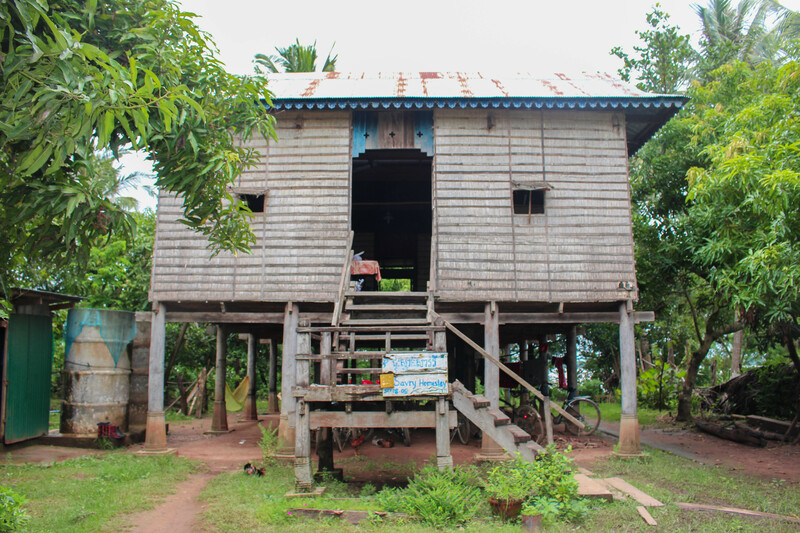 The establishment of these home stays was made possible by the “Dolphins for Development” project – a partnership initiative between WWF, the Cambodian Rural Development Team and several other local conservation NGOs. The project focuses on creating diverse alternative livelihoods in order to reduce the dependence of local communities on gillnet fishing in the Mekong River, in favor of activities such as aquaculture, livestock-raising, vegetable growing and community-based ecotourism. Knowing that tourists want to visit Koh Pdao to see the rare Irrawaddy dolphins, WWF and CRDT recognized establishing home stays would not only increase income security of the owners, but provide an opportunity for them to move away from destructive practices such as illegal fishing. Preparing homeowners in Koh Pdao, including Sam Savry, to welcome tourists required guidance and training. CRDT held workshops in the village educating each home stay owner on hospitality, hygienic food preparation, and proper home maintenance. While the story of how the home stays were established is an interesting one, even more compelling is they actually no longer receive funding, not because the project ran out of money, but rather because the home stays now function as sustainable businesses. When Mrs. Savry heard CRDT was requesting volunteers to sign up for the program, she readily came forward. 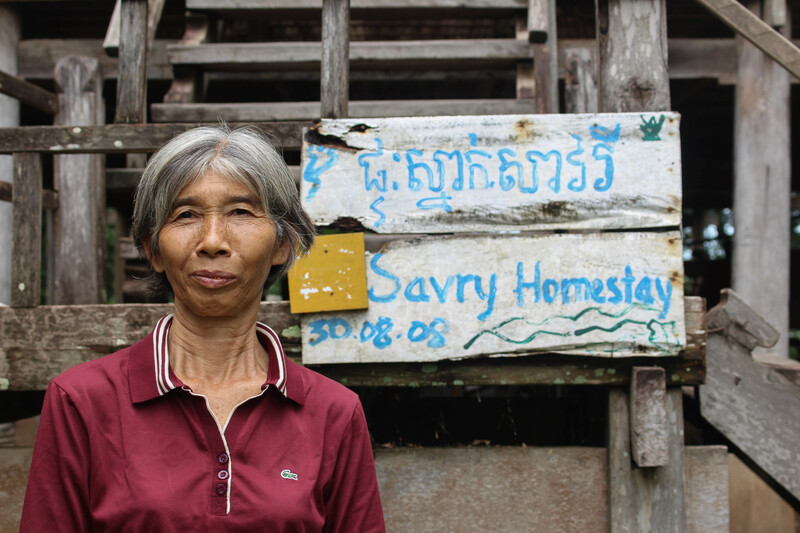 When asked why she volunteered Mrs. Savry explained she “wanted to learn from people different than she and understand better how foreigners lived.” Aside from Mrs. Savry’s curiosity, she is unique among home stay owners in Koh Pdao because she is the only woman completely in charge of her business. Her husband has passed away and her five children no longer live at home. At first, Mrs. Savry explained she was unsure how to interact with tourists and provide for them given her limited English. However, as a result of the workshops held by CRDT she slowly acquired those skills. Now she has her routine planned out each day. Usually she wakes up around 5:00 a.m., approximately one hour before her guests. First she cleans the toilet and picks up any garbage that has collected around the house. After people awaken she cooks everyone breakfast – usually fried eggs – and sees them off on their daily activities. Tourists who come to Koh Pdao invariably go on a dolphin tour, but they also participate in community projects such as building chicken coops or toilets or assisting with repair projects around the village. Around lunchtime the group returns to take showers and Mrs. Savry makes sure there is enough water for everyone. After lunch which is typically cooked by a community group in the village, Mrs. Savry remains at home to watch the tourists’ belongings to ensure their safety. The tourists typically return around 8:00 or 9:00 p.m. and once the sun sets, without access to electricity, everyone settles in for an early night’s rest, all to be repeated the next day. Mrs. Savry clearly pointed out the presence of Irrawaddy dolphins in the waters surrounding Koh Pdao is very important for tourism. She explained that dolphins are a rare species so tourists want to see them and “when they see the dolphins, they are happy, and spread the news to their friends.” Mrs. Savry believes her village is a “just a simple village,” but the dolphins’ presence makes it unique. As part of the workshops conducted by CRDT, the organization educates home stay owners on the importance of conserving the environment. 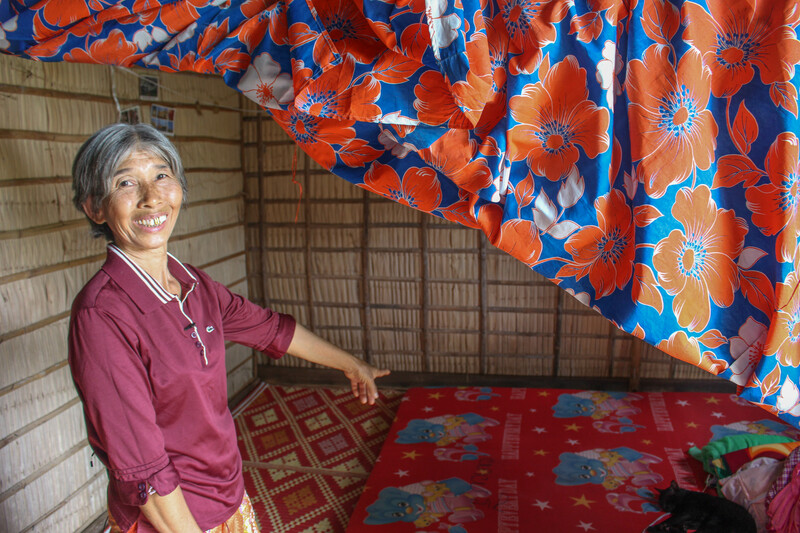 Mrs. Savry now worries about gillnets and hydropower development affecting the dolphin population at Koh Pdao and also the way of life she has grown accustomed to since she moved to Koh Pdao over thirty years ago. She expressed regret that if the environment is destroyed, the work CRDT has conducted will be lost as well. Her gratefulness for the assistance provided to help start the home stay was evident throughout our conversation and culminated with Mrs. Savry formally expressing her thanks to CRDT and WWF. 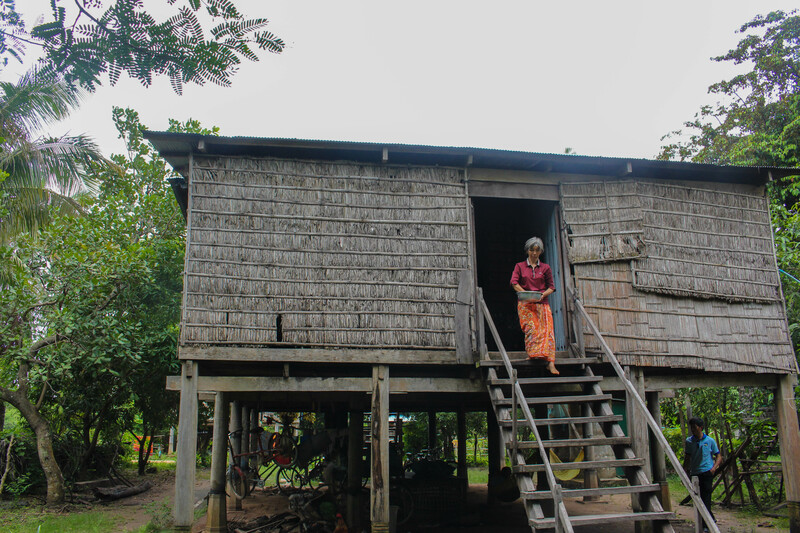 While Mrs. Savry still encounters challenges such as making repairs on her house, her success epitomizes a sustainable alternative livelihood project as demonstrated by the simple fact that now it is only Mrs. Sam Savry who is in charge.